The majority of small or do-it-yourself landlords are risking income loss from ineffective leasing policies, according to a study conducted by Real Property Management, the nation’s largest property management franchise. The study, implemented by Liminality, Inc. of Boston, surveyed over 300 landlords to determine how they navigate standard leasing practices, such as tenant screening, written lease agreements, and pet policies. Perhaps the most startling finding is that 57% of landlords never or only sometimes run tenant credit checks. The failure to conduct this basic component of a tenant background check encourages income loss from bad tenants. Requiring a credit check of some but not all tenants could lead to a discrimination claim. As Real Property Management points out, failing to confirm credit-worthiness increases late payments and evictions, which in turn lowers the return on investment by creating more vacancies and non-payment issues. Compounding the risk of income loss, 45% of landlords never or don’t always enforce the lease. Real Property Management warns that enforcing rules in some cases and not others can lead to discrimination claims, and could render the lease unenforceable. This problem is exacerbated by the fact that 27% of landlords report they do not have enforceable lease agreements. A lease agreement provides the framework for managing the property by spelling out the rights and responsibilities of the tenant. Without it, tenants become emboldened to make up their own rules, and evicting a problem tenant becomes far more difficult. The majority of small landlords — 55% — do not require or only sometimes require renter’s insurance, according to the study. While this insurance coverage generally is not mandatory, requiring it is an accepted practice among professional property managers who understand the benefits. Renter’s insurance can cover a tenant’s personal property losses in the event of a catastrophe, and with a rider provisions, the insurance will pay damages in the event a tenant injures another person. 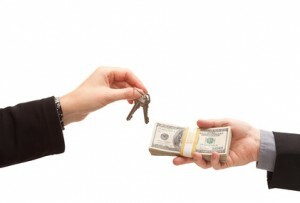 That can save the tenant from financial ruin and keep rent payments flowing. Another important leasing policy that affects a landlord’s bottom line is whether to allow pets. The study found roughly 25% of small landlords prohibit pets. Real Property Management confirms that landlords who prohibit pets miss out on some of the best rental applicants, as well as an important opportunity to charge more rent. One concern flagged by the study is that many landlords chose the option “sometimes” when referring to crucial leasing policies. Whether that is sometimes running tenant credit checks, sometimes enforcing the lease provisions, or sometimes allowing pets, landlords who do not adopt and enforce standard policies that apply to all tenants uniformly will continue to run the risk of a discrimination claim — a costly landlord mistake. According to Real Property Management, managing rental properties really is about managing people. Both are impossible without effective policies in place. With more than 300 offices in North America, Real Property Management company specializes in managing single-family homes, townhomes, condos, multiplexes and small apartment buildings. Its services include finding and screening residents, completing the lease agreements, collecting rent, arranging for any necessary repairs, and processing evictions when necessary. Real Property Management offices also manage the legal compliance for local, state and federal real estate law. For more information about Real Property Management or property management services, please visit www.realpropertymgt.com. For information on franchising opportunities, please visit www.propertymanagementfranchise.com.